If you are like us, you were probably glued to election results on Tuesday, frantically refreshing your computer or phone, flipping through channels, or listening to the radio. If you did any of that then you already know Michigan just became the next state to legalize the recreational use of marijuana. It has been a long time coming. Although we as licensed Cannabis Business Attorneys thought Proposal 1 would pass rather easily, we were still a tad nervous when the results started coming in. But it was all for naught, as Michigan voters turned out in droves and overwhelming voted to enact Proposal 1, which legalizes the sale and possession of recreational cannabis in the great state of Michigan. With the passing of Proposal 1, Michigan became the first state in the Midwest to legalize marijuana (sorry North Dakota, maybe next time). However, you are probably not reading this to learn about what you already know. You are probably curious about where we go from here. 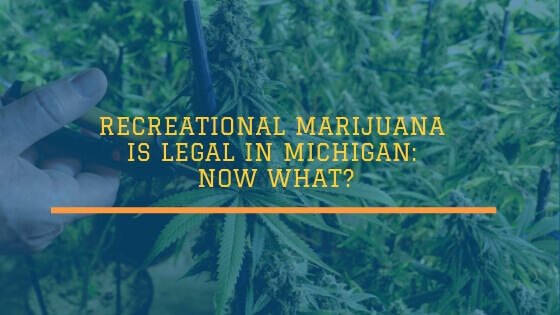 This article will address what the future of marijuana legalization holds for Michigan and what that means for you. The short answer is not yet. To explain, marijuana will not be legal recreationally until after election results have been certified. Specifically, we will have to wait ten days after the election results are certified. Based on previous elections, results can take a little while to be certified. At the latest that would be early December. While LARA and the State mull over regulations on use, licensing, and sales, most people no longer have to worry about being arrested for possession charges. Post certification, Proposal 1 allows for people in the state who are 21 years or older to possess up to 2.5 ounces on their person or up to 10 ounces in their home. Proposal 1 also allows for individuals to grow up to 12 plants for personal consumption in their home. The caveat with growing those plants is it must be grown for personal use. If you are in the cannabis industry you know that 12 marijuana plants produces much more product than just 10 ounces and much more than most consumers can even imagine smoking. There are also restrictions for where you can grow marijuana you intend to use personally. Do not expect to be planting them in your community gardens or in your front yard. Proposal 1 does not allow for you to consume marijuana in public places or while driving. Our Marijuana business attorneys want to remind you that you can still be arrested for smoking in public and for driving under the influence of marijuana…DON’T DO IT! The Michigan Regulation and Taxation of Marihuana Act does not legalize public consumption of cannabis—that still needs to be done on private property. Even though marijuana will become recreationally legal, do not expect your employers to stop testing you for it if they already do. Proposal 1 allows for employers with existing drug use restrictions to keep those restrictions in place post legalization. The same goes for your landlord’s restriction on smoking marijuana, though landlords cannot restrict the consumption of non-smokable cannabis products. Proposal 1 is officially called the Michigan Regulation and Taxation of Marihuana Act, which doesn’t exactly roll off the tongue. It has also been known as the MiLegalize initiative, the RMLA (Regulate Marijuana like Alcohol), the “rec law”, and Proposal 1. While the acronym MRTMA doesn’t exactly roll off the tongue either, this will likely become the way the Michigan cannabis industry will start referring to it. HOW WILL RECREATIONAL LAWS BE DIFFERENT THAN MEDICAL? The Medical Marijuana Facilities Licensing Act (MMFLA) passed in 2016. The MMFLA has specific guidelines and requires an intensive and comprehensive application process. The state licensing agency LARA has updated and modified the rules of the MMFLA many times since they have been implemented and have added questionnaires and requirements that are not on the actual MMFLA application. Whether or not LARA uses the current medical marijuana laws and regulations and application process as a base for the recreational laws is still up in the air. We do know that the language in Proposal 1 is different and in many ways more lenient than the MMFLA. We are really excited to see how the “licenses shall be granted” language is implemented as opposed to the current language in the MMFLA, which usually leads to inconsistent and unpredictable denials from a licensing board made up of political appointees. Additionally, new faces in high positions in Michigan could aid in a speedy implementation of the new laws. Specifically, new Governor elect Gretchen Whitmer committed verbally to cleaning up LARA. Dana Nessel, the new Attorney General, has been a vocal supporter of loosening restrictions on marijuana and its recreational legalization. This all fairs well for recreational marijuana. However, as cannabis lawyers we want you to know that there is still a lot up in the air regarding how the Michigan Regulation and Taxation of Marihuana Act will be implemented. Anyone that says otherwise is either misinformed, making educated guesses based on rumors, or trying to sell you something. The Department of Licensing and Regulatory Affairs will still need to draft and implement rules to fill in the blanks. There are some key differences specifically in how licenses are issued, reviewed, and regulated. The differences will depend what the new regulations look like. The MRTMA allows LARA twelve months to issue regulations and start accepting applications—and if the past is any indicator—they will take the full twelve months. A key difference and one that has been hotly debated is the excise tax. Michigan will be one of the states with the lowest excise tax. At 10% on top of the 6% sales tax Michigan marijuana businesses could thrive in a market that is expected to include 20% of Michiganders 21 and up. Keeping the tax on cannabis low ensures that Michigan’s black market does not continue to make up a large portion of Michigan’s cannabis market. While there have been rumors that the state legislature may try to increase this tax in the lame duck session, we hope that the tax stays low since this will ensure cannabis sales stay in the regulated market. WHEN CAN I SELL/BUY RECREATIONALLY? As of today there is not a specific day we can point to and say this is the day you will be able to sell or buy marijuana legally without a medical card. So don’t let your medical card lapse just yet, and if you don’t have on, don’t expect to stroll into your medical marijuana dispensaries in Detroit, Ann Arbor, Lansing or Flint anytime soon. You will still need a medical marijuana card to purchase marijuana from a dispensary, though the MRTMA does allow the transfer of certain amounts of marijuana between consumers. This would be where having a friend with a medical card comes in handy. We do know that LARA will be required to accept application for recreational marijuana facilities within 12 months of the certification date. If it fails to do so, then cannabis facilities can operate under municipal licensing only, though don’t except LARA to give up that kind of authority. Even so, the actual recreational marijuana application process is still somewhat shrouded in mystery. What we do know is that the Michigan recreational marijuana facility applications will need to be processed within 90 days, which is a welcome relief to medical marijuana applicants who have had to wait close to a year to have their applicants processed. As licensed cannabis attorney’s we do expect the process to be less time consuming than the process now under the MMFLA. We also expect that the arbitrary licensing board denials to no longer keep qualified individuals out of the new cannabis market, though the Medical Marihuana Licensing Board will still serve as a gatekeeper for most license types, as discussed below. The legislature could also make changes to Proposal 1 before it goes into effect, but that would take a lot of cooperation by the legislature. By that we mean that it would take a three/fourths vote to institute any changes to the proposal as it is. So it is highly unlikely that anything on the books now changes before implementation, despite rumors that the state legislature might try to up the excise tax. In sum, as far as selling and buying cannabis recreationally, we are looking at about a 12 month wait for the recreational market to be up and running. At this point you might be asking yourself, is there a way in or a step I can take now? Legalizing marijuana in Michigan has been a long journey, and now that it is official you want to know how to get in on this market before it takes off. The first thing to know is that you will not be able to apply for a recreational marijuana license if you do not already possess a medical license, with two exceptions—a Class A Growers License and Microbusiness license. It is our official legal opinion that a Class A growers license are essentially worthless if your goal is to sell to the general public. There could be some value if your goal is merely developing genetics, but these licenses will likely be unable to compete against large Class C facilities. Alternatively, the Michigan Microbusiness license. will present opportunities for those not already in the licensed medical marijuana market to enter the state’s recreational marijuana market. The restrictions and requirements on licensing will be active for the first two years of recreational marijuana use, at which point the market will open up to everyone. If you are looking to get into the marijuana business before it explodes, contact our Cannabis Business Attorneys to set up a free consultation. We specialize in marijuana business licensing and would love to help you get your foot in the door of what will soon be a very lucrative market. You can call us to arrange a consultation with a Cannabis Business Attorney at (248)234-4060. 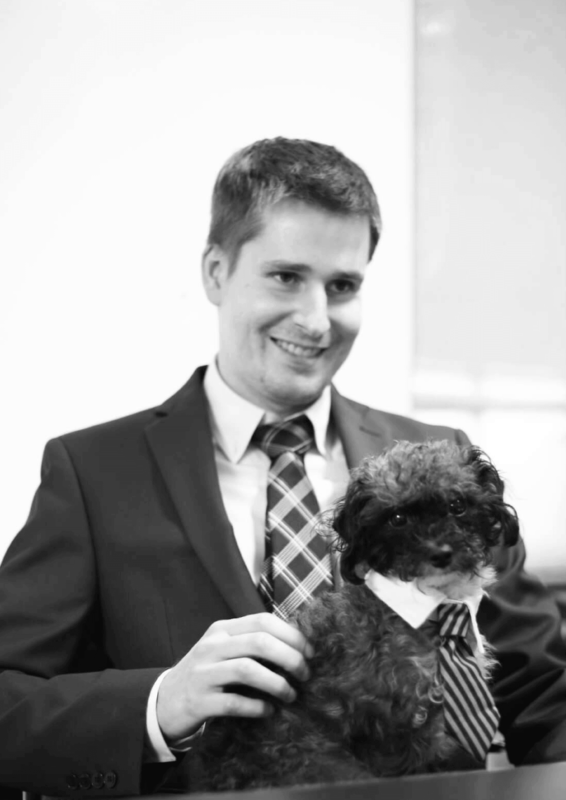 Scott F. Roberts Law is a boutique cannabis business law firm focused on representing Michigan marijuana businesses of all sizes and types in licensing, as well as regulatory compliance, business, real estate and municipal matters. 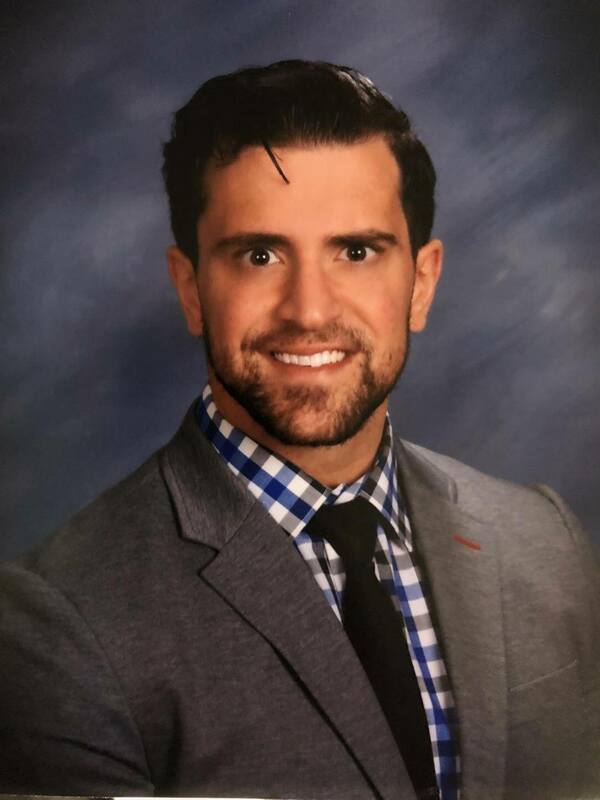 Mr. Roberts spoke on Michigan microbusiness model at the first annual Commercial Cannabis Conference and Expo in Detroit and will be speaking about the microbusiness model again at the Cannabis Industrial Marketplace in Frankenmuth in February 2019.